Every year there is a 5k race at our town’s Old Home Day. When I went home in June my mom asked me if we could train for it and run it together. We thought it was going to be in early August. Unfortunately, the race took place after I left for Turkey. My mother and I still trained for it all summer. My mother rocked that race and ran it in a little over 30 minutes. While I was not there in person, I supported her by doing my own 5k run in Marmaris that day. I was a little disappointed to not make the race with her. 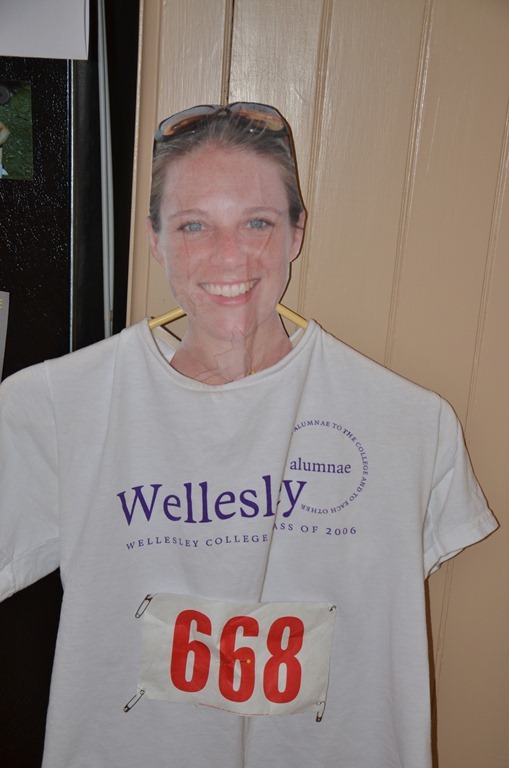 However, my Dad had a great idea… Flat Jules also made an appearance! After the Wellesley Reunion, my BFF from college mailed her to me, signed by all of my friends. 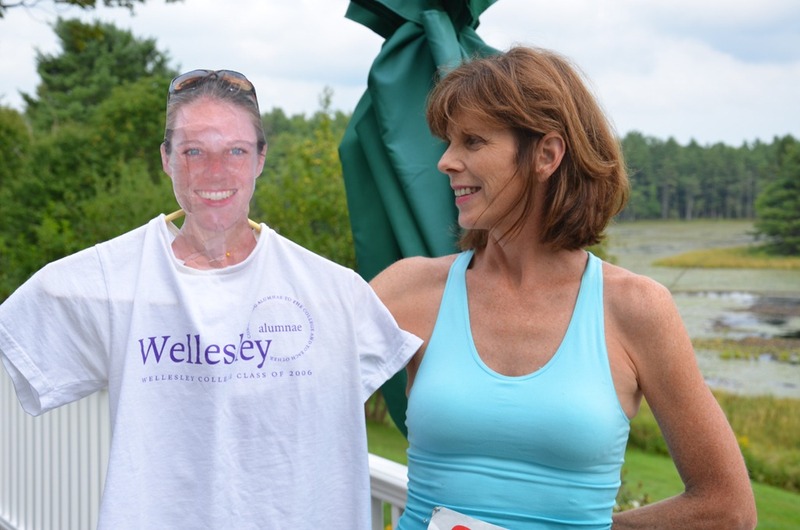 So my parents cajoled Flat Jules down from her room in the attic for some photos with my mom after the race. My mom graciously shared her race number with Flat Jules! While we did not run the race together, we did have a great time training together this summer. It also gave me a great new outlet for stress and a new hobby. I have run almost every day since I have returned to Turkey, around the track in Ankara and by the sea in Marmaris. Maybe next year we will do another 5k together! This entry was posted in FamFam, Flat Jules, Mom, Running and tagged Expat, Turkey by Jules. Bookmark the permalink. This is totally awesome. No other words can describe it! And congrats on your run!